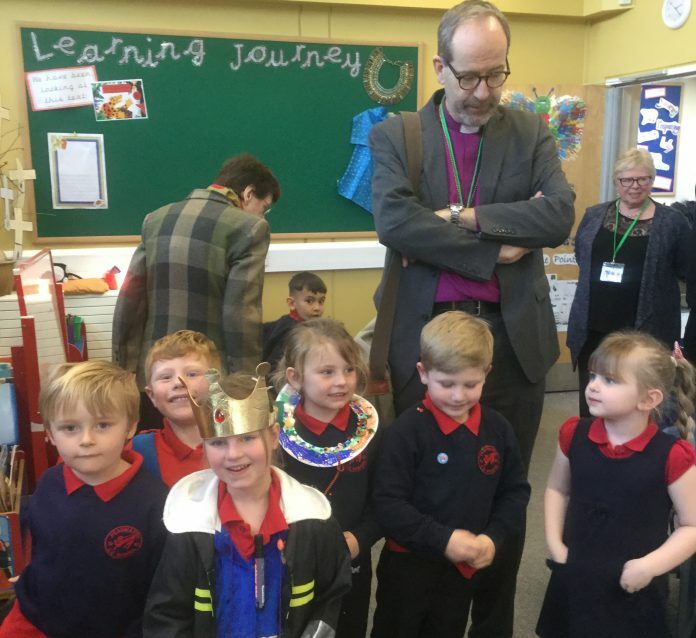 Pupils at Peasmarsh Church of England primary school were delighted to welcome the Bishop of Lewes for the afternoon. The youngest children showed him their decorated art work whilst the older pupils proudly sung an Easter song. Governors and parents were also invited for tea and a chat. The bishop visited Forest School – our own little forest area where the children make dens, have team games and learn about the seasons and the environment, including trees and wildlife – as well as listening to the children tell him about their community links with local businesses and residential homes. Image Credits: Peasmarsh Primary School.